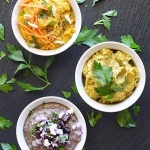 I started playing around with hummus recipes and rather than make three separate posts, I decided to combine them into one. So today we’re making Vegan Hummus Three Ways! First, a traditional recipe which I then use to transform it into a carrot hummus. Lastly, a delicious black bean hummus. All are incredibly simple, so let’s get started! I started with the basic hummus which you are probably familiar with. 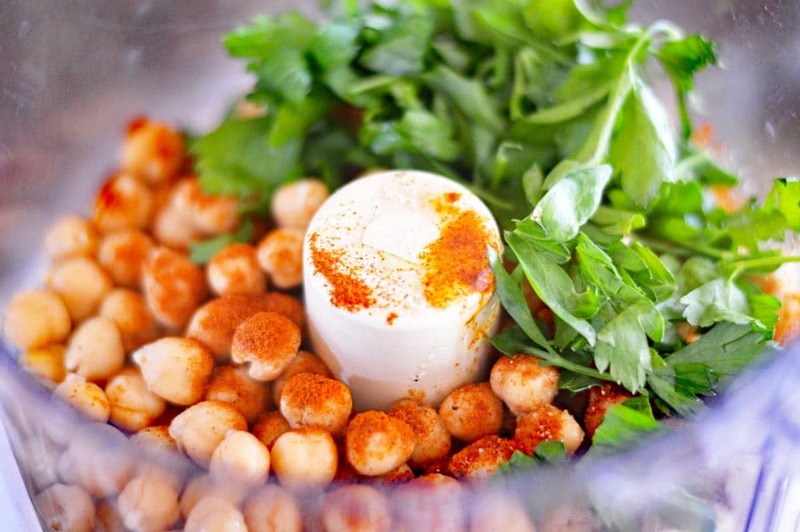 It consists of chickpeas, tahini, lemon juice, a bit of oil, seasonings such as paprika and optional toasted pine nuts. I omitted them because they aren’t my favorite and it really didn’t need it. To that hummus base, I added cooked carrots and ginger. 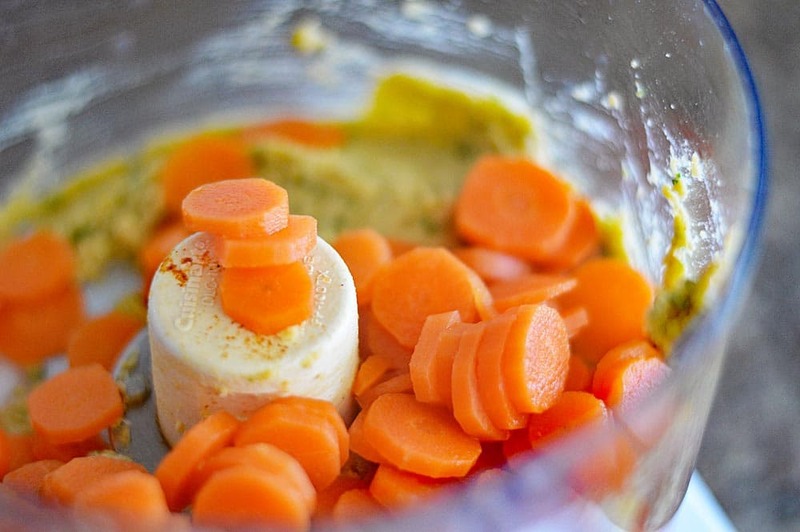 Puree until smooth, top with olive oil, freshly cracked black pepper, slivered almonds and carrot shreds. Fresh parsley for garnish. Last, but certainly not least was this black bean hummus. In this hummus, I replaced the chickpeas in the original recipe with black beans. Instead of lemon juice, I used lime juice. Something a little different, I used a splash of red wine vinegar. Process until smooth and top with black beans, red onion, vegan goat cheese (optional) and of course, garnish with fresh parsley. 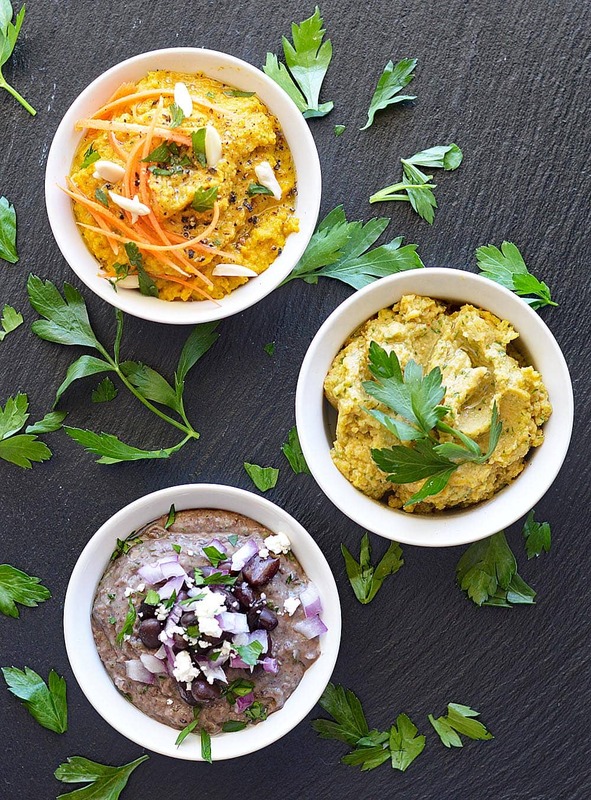 Did you make this recipe for Vegan Hummus 3 Ways? Let me know in the comments section below. 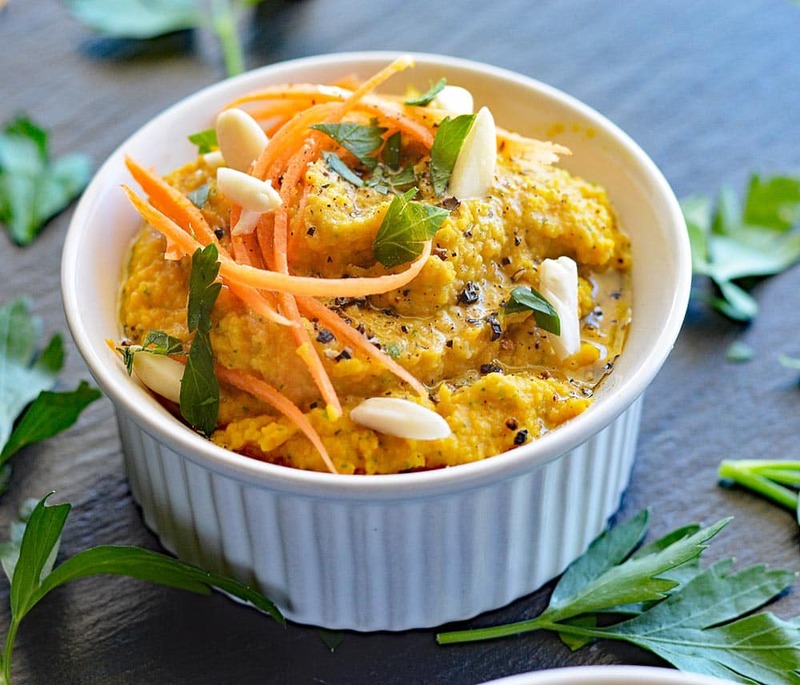 The best part of each of these recipes is that they are made entirely in the food processor! 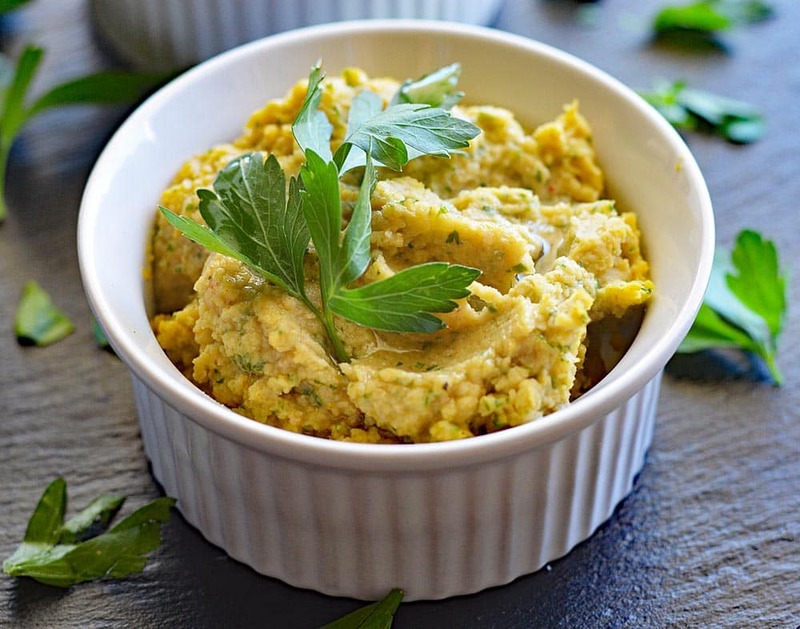 Add all of the ingredients for the desired hummus to the bowl of a food processor and puree until completely smooth. Garnish and serve with chips, veggies, etc. They also make great spreads for sandwich wraps! 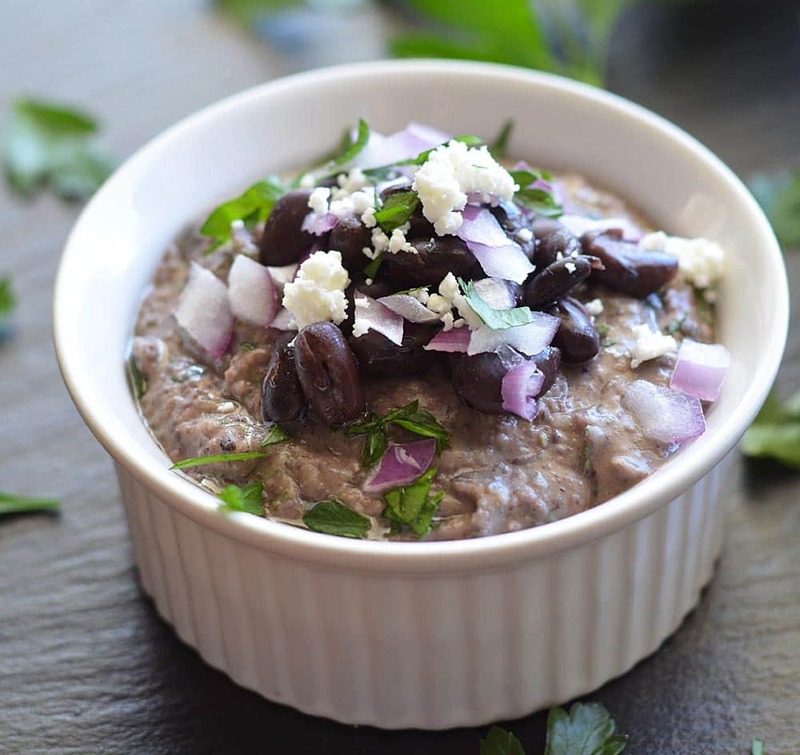 The black bean hummus came out great – thank you!